Offering you a complete choice of products which include anionic surfactant, cationic surfactants, non ionic surfactant, non ionic wetting agent, surfactants and demulsifiers. 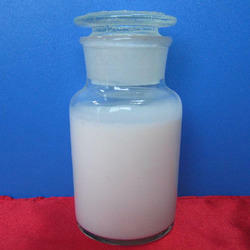 Anionic Surfactant manufactures by Chemtex Speciality Limited which is based of sulfonates essentially. Anionic surfactants are good detergents with medium to high foaming properties, which are usually safe for human handling with neutral pH range. 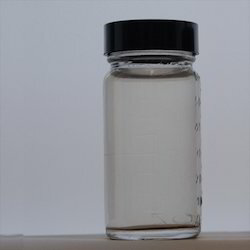 Anionic Surfactant ionizes when mixed with water. Anionic Surfactant has a negative charge. Anionic functional groups are present at the head of the Anionic surfactant, such as Sulfate, Sulfonate, Phosphate and Carboxylates. Prominent alkyl sulfates include sodium lauryl sulfate (SDS, sodium dodecyl sulfate, another name for the compound), ammonium lauryl sulfate, and the related alkyl-ether sulfates sodium laureth sulfate, also known as sodium lauryl ether sulfate (SLES) and Sodium myreth sulphate. Chemtex Speciality Limited is an ISO 9001, ISO 14001 and OHSAS 18001 certified company that specializes in the manufacturing of anionic surfactant products. It has also established itself to be among world's renowned multipurpose chemical exporter having its facility in India. Chemtex's greatest business vitality and strength are its technical and manufacturing knowledge and a well developed technical service team. Cationic surfactants are alluded to as chemicals in which the hydrophilic end comprises of a positively charged particle or cation. The standard capacity of these surfactants is to make lipophilic substances like oils, fats, and greases soluble in water, with the goal that they can be washed away. Since water effortlessly helps in dissolving ionic substances or materials that comprise of one or more charged atoms, and hydrocarbons dissolve oils, fats, and greases, a surfactant particle has a hydrocarbon end and an ionic end.Typical case of cationic surfactants are trimethylalkylammonium chlorides, and the chlorides or bromides of benzalkonium and alkylpyridinium particles. These are principally utilized as fabric softeners but also find application in topical antiseptics and hand sanitizers. 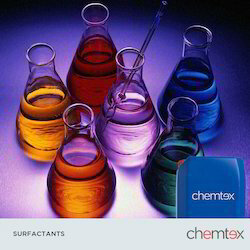 Chemtex Speciality Limited manufactures a range of surfactant chemicals that help in lowering the surface tension (or interfacial pressure) between two fluid medium or between a liquid and a solid. Surfactants may be grouped as wetting agents, cleansers, emulsifiers, frothing agents, and dispersants. Surfactants are grouped by their hydrophilic groups: Non Ionic Surfactant, Anionic Surfactant, Cationic Surfactant and Amphoteric Surfactant. They are administered to expel dirt from skin, garments and household items especially in kitchens and bathrooms.They are also used extensively in industry. 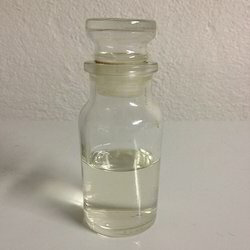 Non Ionic Surfactant include may long chain alcohols exhibiting surfactant properties; prominent among these being cetyl alcohol, stearyl alcohol, fatty alcohols, oleyl alcohol, etc. It finds use in the formulation of high performance cleaners and detergents, paper and textile processing, paints and coatings, agrochemicals, etc. 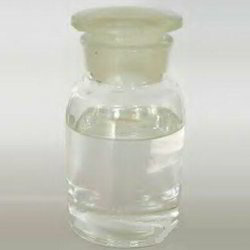 Non Ionic Wetting Agent is of liquid nature most commonly. A wetting agent is a surfactant which when dissolved in water, reduces the advancing contact angle, helps in displacing an air phase at the surface, and replaces it with a liquid phase. Many long chain alcohols are seen to show some surfactant properties. Among these, the fatty alcohols, cetyl alcohol, stearyl alcohol, and cetostearyl alcohol (consisting predominantly of cetyl and stearyl alcohols), and oleyl alcohol are prominent. Non Ionic Wetting Agents do not ionize in water. 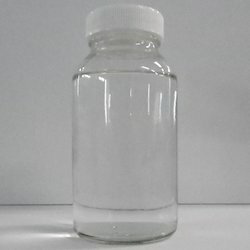 A possible advantage for using the product is that it does not react with other ions in the water, which could lead to formation of a precipitate. Chemtex Speciality Limited is involved in the manufacturing of Surfactants that are widely used in metal surface preparation. These are specially formulated for modifying the metal surface in order to get better surface finish. The chemicals are used extensively in industries for phosphating, derusting and passivation. 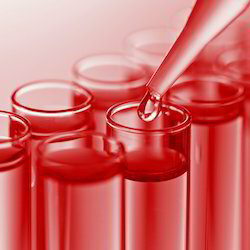 We offer surfactants that can act as wetting agents, detergents, foaming agents and dispersants. The product which we cater under Surfactant are Surface Treatment Chemical, Pickling Paste, Passivation Gel, Non-Ionic Wetting Agent, Wetting Agent, Anionic Surfactant, Wetting Agents etc. These are applied on metal surface to increase its spreading and wetting properties. It is also used for removing welding spots and oxide layer from stainless steel for improving its life and aesthetic value. Demulsifier : Key parts of demulsifier details enabling quick partition of created water from oil. Isolating oil from water can be exceptionally time critical due to short residence time. Chemtex offers a wide range of oil demulsi?? ?ers from various compound classes to help clients with tailor-made solutions. Chemtex's Oil Spill Dispersant is a polymer and surfactant based item which breaks the clayey deposits and evacuate them with blow down water. It is a neutral pH product and does not cause any corrosion to the system metal during use. It works utilizing a mix of chelating agents, crystal mods and threshold gains, and is viable against an extensive variety of scalants including calcium and magnesium hardness, iron oxide and silica. It changes over the scaling material into a light portable floc, which can be blown down effectively. It will bit by bit re-scatter old deposits. A regular oil spill dispersant contains solvents and surfactants. Solvents keep the chemicals blended and help them break down into oil. Surfactants permit oil and water to blend effortlessly. By permitting oil and water to blend, the oil spill breaks into numerous oil droplets. Nature's "oil-eating" organisms are found in seas and have adjusted after some time to utilize a large portion of the chemicals in oil as their food. In the process, they naturally remove oil from the environment. Smaller oil droplets are more available to these “oileating” microbes than large oil slicks. Wetting Agents are substances added to reduce surface tension of liquid helping enhancing its spread. Our extensive line of Wetting Agents are developed based on a wide range of surfactant technologies possessing unique properties that allow multifunctional performance in process systems. The special formulations not only reduce equilibrium and dynamic surface tension but provide outstanding wetting properties ensuring little or no tendency of foam production. These agents basically modify the surface tension of a surface to make it absorb water or water based chemical instead of repelling it. 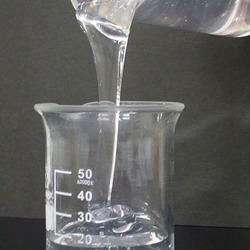 They are generally used in cleaning products like detergents, shampoos, etc.